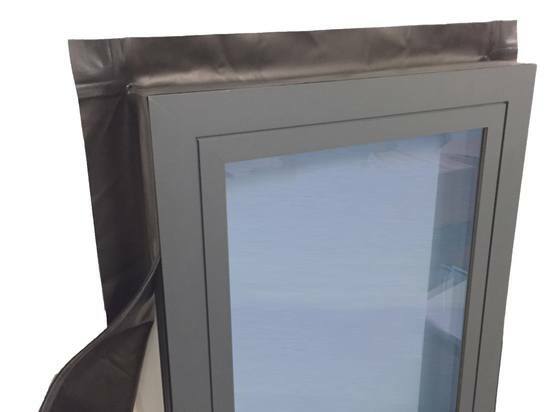 A new easy-to-use collar system from foam sealants specialists ISO-CHEMIE provides rapid and effective air- and weather-tight sealing around windows and doors. Manufactured from flexible EPDM (ethylene propylene diene monomer), which can compensate for joint movements due to its high elasticity properties, ISO-CONNECT EPDM SEALING COLLAR is resistant to extremes of temperature and weather. 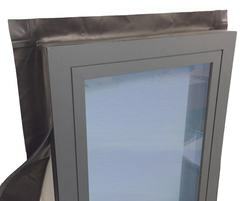 It also possesses good diffusion properties and complies with the relevant building regulations and DIN EN standards, covering thermal conductivity, dimension tolerance, and resistance to driving rain on joints among others. ISO-CHEMIE specialises in the manufacturer of foam products from polyethylene (EPE), polypropylene (EPP) and polyurethane (PUR) using the latest production techniques.